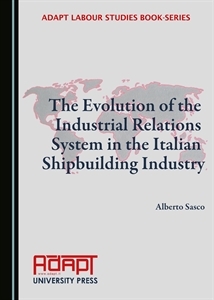 This book provides an in-depth analysis of how industrial relations in Italy’s shipbuilding sector have developed over recent years, taking Fincantieri – the leading and most well-known Italian shipbuilding company – as a case study. To this end, an investigation of relevant literature and collective agreements is carried out to understand how national and company-level collective bargaining has evolved over time. Several major transformations have characterized the world of work in recent years. Those transformations follow different patterns in different countries, yet their dynamics are so interrelated that it is often hard, if not impossible, to distinguish the causal relationships among them. Technological advances, globalization, old and new media, demographic changes, and new production and economic systems are all key factors acting on this ongoing transformation which is impacting both the world of work and society as a whole. In the spirit of Karl Polanyi, the well-known scholar who described the rise of market-based societies, we are led to wonder if we are witnessing a new “Great Transformation of Work”, on such a scale that it might change the very meaning of work in our society, and even its anthropological connotations. Accordingly, this volume investigates and discusses the different aspects of this transformation from a comparative perspective. In order to propose better solutions to cope with these changes, it is necessary to analyze their ongoing dynamics. Lawmakers, unions, scholars and practitioners are all called to do their part in order to achieve the goals of sustainability and fairness of our economic systems. No one can deny the significance attributed to the issue of reconciling work and private life by contemporary society, the EU and other international organisations. Its relevance is evident in the multifaceted nature of this topic and the need for each party to the employment contract to strike a proper balance between professional and personal responsibilities, based on the assumption that people can successfully harmonise their work with life. 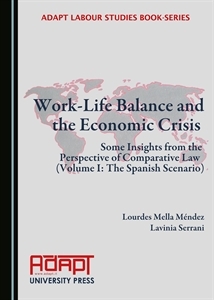 Following on from these considerations, this volume provides a detailed analysis of work-life balance and its regulation in a number of EU countries, emphasizing the consequences that the current economic crisis has brought about in this field. 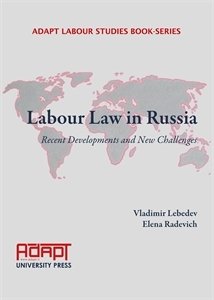 Russia’s transition towards a market economy in the early 1990s called for new approaches to the regulation of employment relations in the post-Soviet period in order to strike a balance between employers’ interests and employees’ rights in changed conditions. The adoption of the Labour Code of the Russian Federation (LC RF) in 2001 contributed to solving the issue only partly, as, in reality, it was passed as a compromise between different political forces, and consists of both provisions which can be implemented in the new context of the market economy and restrictions inherited from the planned economy. The recent and ever-changing socio-economic conditions, and the increasing complexity of the employer-employee relationship, which is a result of both globalization and technological progress, required the further development of Russian employment legislation. This resulted in substantial amendments being made to the original LC RF in 2006, with the majority of its provisions being profoundly revised. Nevertheless, a thorough analysis of the changes currently under way shows that many aspects concerning employment relations have still not been addressed sufficiently. 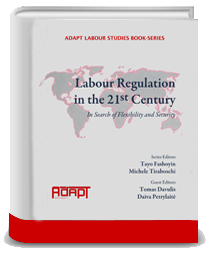 The papers collected in the present volume of the ADAPT Labour Studies Book Series consider the recent developments of the legal regulation of employment relations – as well as some closely related aspects – from a historical and comparative perspective, in order to provide some insights into these issues and to examine current challenges. 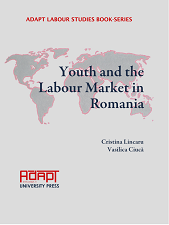 In order to improve the quality and efficiency of youth employment, this book examines the cases of the Romanian labour market and of youth employment performance. Recent developments in the labour market participation of young people indicate an accentuation of labour market segmentation and a decrease in job security for young people, with the risk of exclusion and marginalization, fuelled by longer transition processes towards decent employment. This transition may seem clear when one looks at two aspects: education and employment. The challenge the transition towards employment presents is faced by all, regardless of one’s level of education, as employment security is uncertain. The situation young people find themselves in when they finish school and have no job opportunities is a rather delicate one as society offers no “safety nets”. This book, as well as others in the ADAPT Labour Studies Book-Series, explains the challenges young people deal with while playing a vital role within the community they live in. As Kafka has been quoted as saying, “Youth is happy because it has the ability to see beauty. Anyone who keeps the ability to see beauty never grows old”. Therefore, young people, and those young at heart, perform an integral role in society, and they must be well integrated to enable their successful engagement within their communities. Youth have always had higher unemployment rates—about twice or more than the average—as they are usually the last to be hired in an expansion and the first to be let go in a recession. In addition, young people engage in extensive job searching in their early years, and this can imply considerable job churning as both youth and employers look for a good match. This highlights the importance of facilitating the school-to-work transition and having early interventions to assist such youth before negative conditions set in. It also highlights the potential importance of determining those young people most “at risk” of long-term unemployment, and of targeting or streaming them into programmes that will yield the largest incremental net benefits given their characteristics. 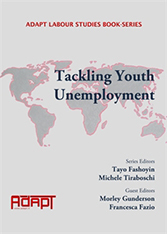 Unemployed youth without previous work experience often are not eligible for unemployment insurance benefits when they first enter the labour market. When they do receive job search assistance, they often face a bewildering array of programmes that are available to assist them, often with little guidance to help them select the programs that best meet their needs. Consequently, ensuring that today’s youth do not become a “lost generation” is an urgent matter. George Bernard Shaw once said that it is too bad that “youth is wasted on the young”, implying that youth do not realize the opportunities they have as youth and only see them as they get older. There is a danger, however, that many of today’s youth may be never have those opportunities and hence not even see them with hindsight. 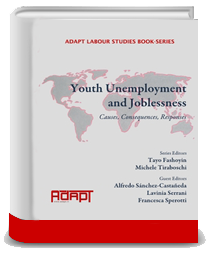 This book and others in the ADAPT Labour Studies Book-Series are intended to deal with these challenges, to make sure that youth is not wasted on the young. The papers presented here originated at a wonderful conference held at Middlesex University in London attended by experts on the subject of vulnerable workers and precarious work from all over the world. The aim of tis volume is to examine different aspects of these topics, showing the need for developing further research in connection with these areas of study. Youth unemployment and joblessness are major issues for national governments and international organizations across the globe. In this respect, the school-to-work transition challenge is increasingly raising the interest of companies, education and training institutions, families and young people themselves, who are often involved in precarious and illegal forms of employment, in many countries of the world. In the field of industrial and labour relations, the school-to-work perspective seems particularly suitable for policy formulation and assessment: the broad and complex range of tools, strategies and policies for enabling youth training and their access to the labour market is deserving of a closer analysis at an international level in a time when jobless recovery threatens national economies. 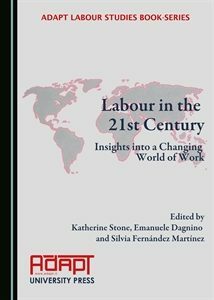 The ADAPT LABOUR STUDIES BOOK-SERIES has in connection been set up with a view to achieving a better understanding of the causes, consequences and possible responses to the issue in a global dimension through an interdisciplinary and comparative approach. The economic crisis has highlighted major shortcomings in the EU flexicurity strategy which, although suitable to tackle structural unemployment in a period of economic growth, it proved unable to stand the impact of the recession, which requires specific measures to maintain employment. Against this background, the authors of the present papers, which were presented at the International Scientific Conference “Labour Market of the 21st Century: Looking for Flexibility and Security”, on the occasion of the 370th Anniversary of the establishment of Vilnius University’s Faculty of Law, that took place on 12–14 May 2011, investigate the development of labour regulation in the 21st century, with particular reference to the relation between flexibility and security and to the need to strike a balance between these two elements. The contributions address the issue in a comparative and transnational perspective and provide some insights into the development of national models of flexibility and social security. 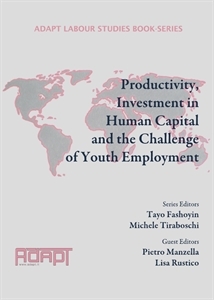 From an international and comparative perspective, young people’s access to the labour market is a complex issue with certain contradictory aspects reflecting the level of development of labour law and industrial relations in their respective countries. In the most advanced economies, there has been a steady increase in the age at which young people exit the educational system and enter the labour market, giving rise to significant economic and social problems. The increase in levels of educational attainment is associated in some cases with an alarming rate of unemployment among those with academic qualifications, while employers encounter considerable difficulty in recruiting workers for unskilled and semi-skilled positions. 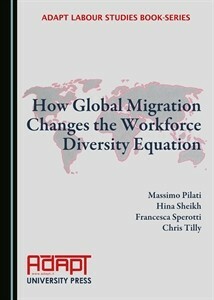 The economies of developing countries, on the other hand, are characterized by different trends, reminiscent of the early stages of modern labour law, with the large-scale exploitation of young workers and children, many of whom join the flow of migrants towards the more highly developed regions of the world, with the consequent risk of impoverishing human capital in the country of origin. 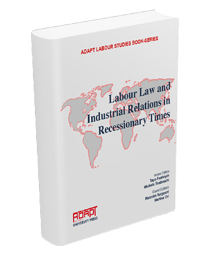 The ADAPT Labour Studies Book-Series has in connection been set up with a view to achieving a better understanding of these and other issues in the field of Labour and Employment relations in a global dimension, through an interdisciplinary and comparative approach.